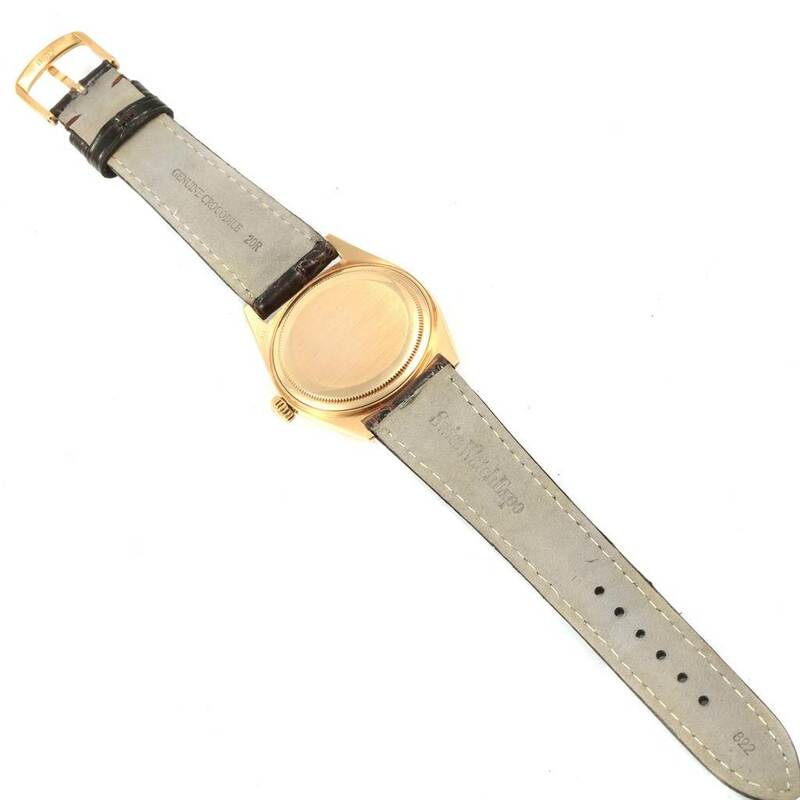 Champagne dial with raised gold baton hour markers. Date window at 3 o'clock aperture. 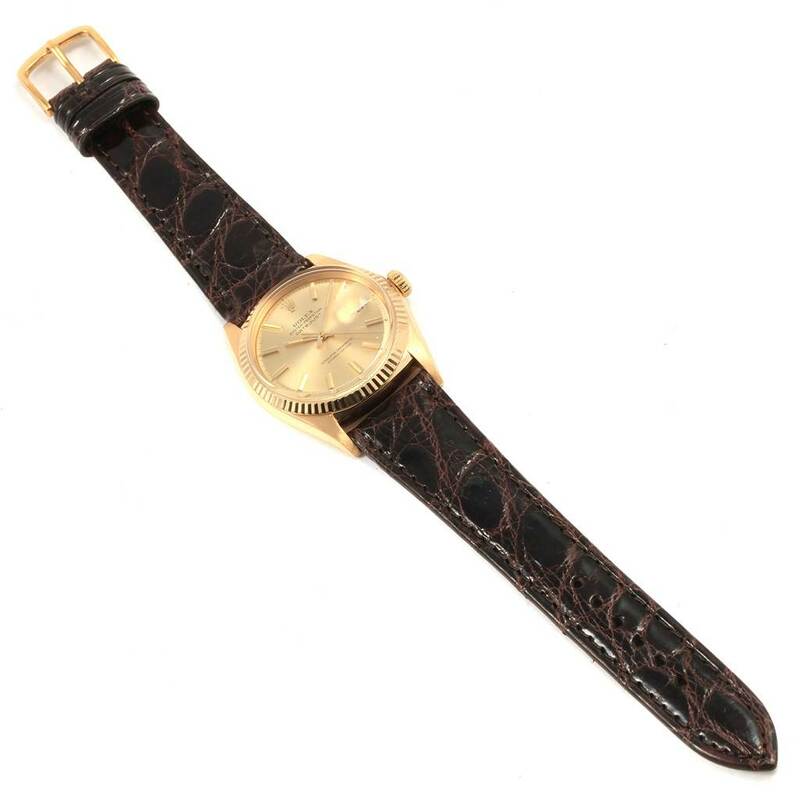 Rolex Datejust 18K Yellow Gold Brown Strap Vintage Mens Watch 1601. Officially certified chronometer automatic self-winding movement. 18k yellow gold case 34 mm in diameter. Rolex logo on a crown. 18k yellow gold fluted bezel. Acrylic crystal with cyclops magnifier. 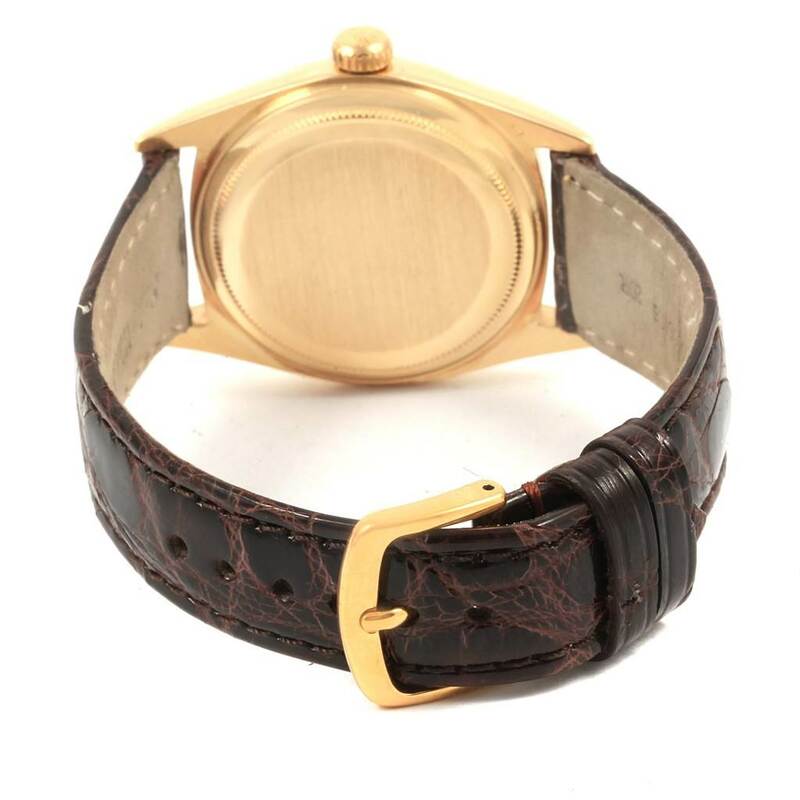 Champagne dial with raised gold baton hour markers. Date window at 3 o'clock aperture. Custom brown leather strap with tang buckle.